Sailors have traditionally favored tattooing of their bodies. "Old school" tattoos were common, for the most part, only among sailors with images like swallows on either side of the chest, girls in sailor hats, and pair of dice. These became the markings of a sailor, especially in the time of Sailor Jerry. However, like all trends, these tattoos are again becoming increasingly popular among young sailors, and even non-sailors especially among the tattoo artists themselves. Such as men like Rocko, a Los Angeles tattoo artist, who has many old style sailor tattoos covering his body, from blue barn swallows watching each other from either side of his chest to a sailor girl in a hat smiling, with a pair of dice on his fore arm. 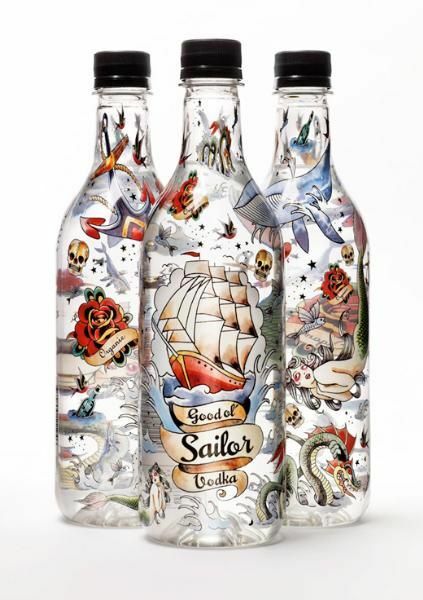 This trend is also seen by the increasing popularity of Sailor Jerry designs, from his tattoos, to his rum, even making clothing out of it. Norman Collins, better known as Sailor Jerry, is most known as a tattoo, a drink, and a cool design; however he was originally an actual tattoo artist. During the Vietnam War in Honolulu, Hawaii, the red-light district was ablaze with sailors and soldiers about to ship off, and in the very center of this was Sailor Jerry; the man most noted for making tattoos an art in America rather than just a permanent souvenir for drunken sailors. The irony of the popularity of this tattoo comes in the fact that Collins hated this much attention. 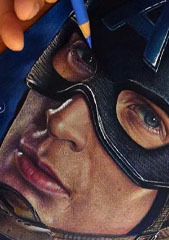 In fact government involvement had made him temporarily quit tattooing in the 1950s, after about 20 years of doing it. He even despised the spotlight seekers like Lyle Tuttle of San Francisco for the fact they would draw government attention and thus their involvement. Not much can be told about how sailors tattoos originally started but it has become one of the many things that now identify a sailor. Tattoos had been around for many years, but on walls, not on human skin. Tattoos now are drawing on people to tell something about themselves, or express their feelings, individuality, or to tell their story. 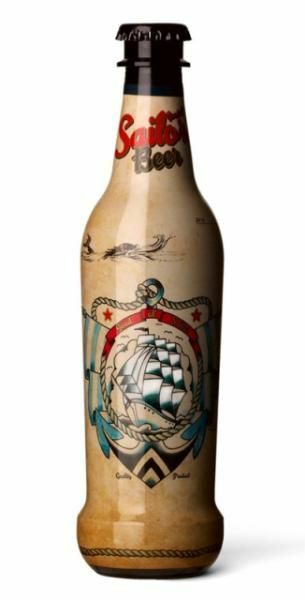 Some of the most famous tattoo themes that associates the drunk sailors are Bottles of booze, Snakes, Wildcats, The “aloha” monkey, Birds of prey, Swallows, Motor heads and pistons, Nautical stars, Weapons, such as guns, and knives. Nowadays, tattoos are a personal sign, way of self-expression... People are tattooing their bodies at a growing rate, there are new wonderful tattoo supplies, new after care treatments... Even fashion can be proud with the tattoo clothing lines.